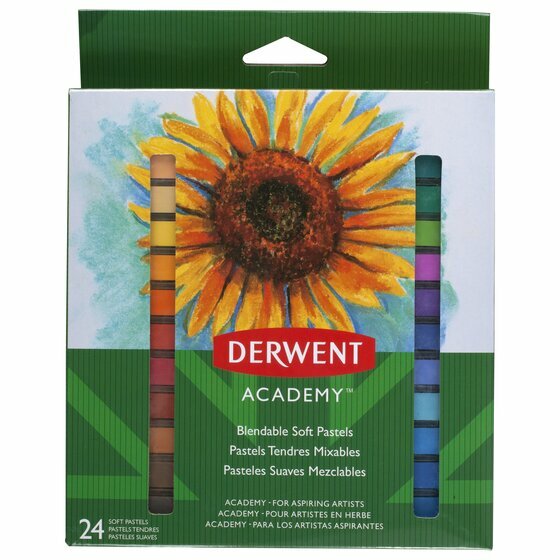 These high-quality soft pastels are easy to blend and come in a variety of colours, making them perfect for aspiring artists and hobbyists. High-quality soft pastels are the perfect choice for aspiring artists and hobbyists. Soft texture is easily blended to create the perfect look and feel for each piece of art. Versatile square shape lets you do fine, detailed work or apply lots of colour to a page quickly. Great for trying out different techniques, like layering and texturing. For best results, only apply as much pressure as you need to avoid damaging or breaking the pastel. 24 pack features a wide range of colours suitable for all art projects.